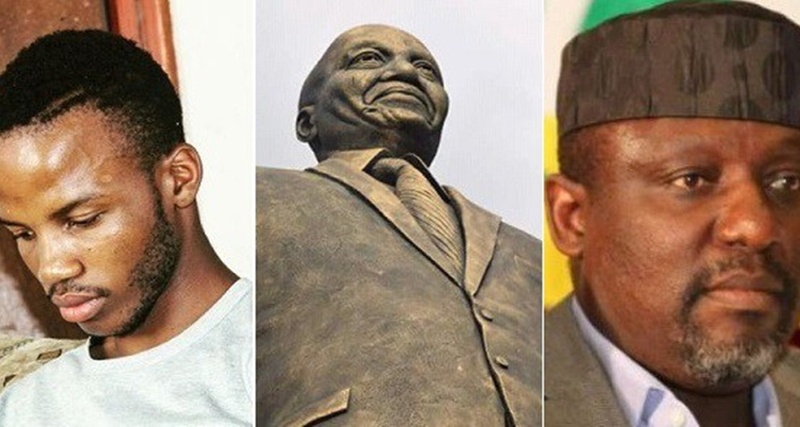 A South African man identified as Rudolf Sebyeng, has shown his disappointment to the statue of their president, Jacob Zuma in Imo state by Governor Rochas Okorocha. A statue of Jacob Zuma was unveiled in Nigeria, I never thought Nigeria is such a clueless country. Today i learned there’s a man called Rochas Okorocha. Corrupt as Zuma, same head shape as Zuma. A large percentage of people feel it’s so improper and stupid, to have another President’s statue in a state, not to talk of naming a street after him.